John Awen started life as a party animal. A charismatic and enigmatic being, he has faced many trials in his life, often in the face of adversity and against the odds. Yet he stands here today having overcome all these in his own inimitable way. Upon moving to Somerset a few years ago, he discovered that a side to him that he had felt years ago and been told about by many people, did actually exist. And so the inspirations started to flow freely and manifested into books and other written articles. This side was that he could write and write well. Not just about one topic, but on a whole host of topics and different genres, which is indeed a very rare gift to possess. Within a few short months, he had become the rarest of things – a published author. Not just one book, but three poured from his keyboard in a fine summer of creativity. This was just what John had dreamed about and had always wanted. I have always loved writing, ever since childhood I have been fascinated with words, whether that is vocalising or writing them. The written word is extremely powerful, whatever context that may be in. As an Author and writer I can fully understand the immense power that language contains. Within my books, I like to take the reader on a journey of understanding, showing an alternative and offering a different perspective upon life and the Universe as a whole. 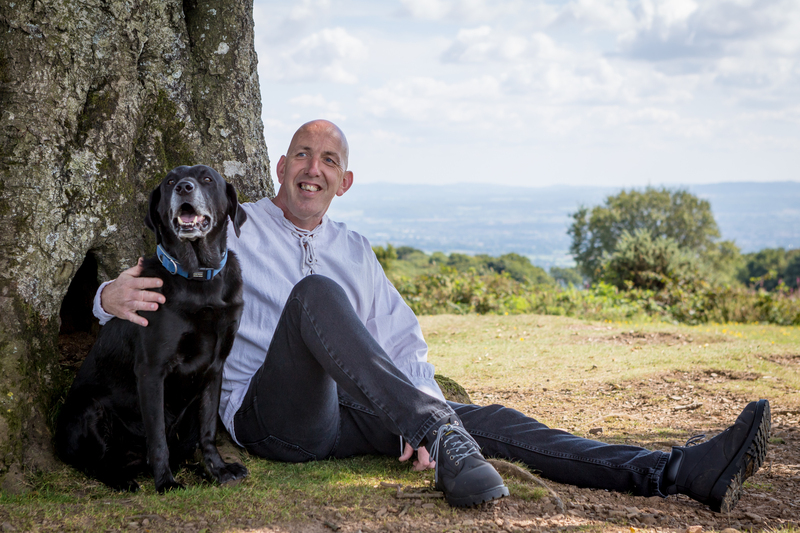 Please take a look at the various pages here to see the alternative life I have lived and still live now, all of which I have personal experience of, then if you would like to ask me anything, maybe book me for a workshop or talk, or purchase a signed book, then feel free to contact me. Life is simply too short to not be passionate. From the moment I awake I know I have been given another chance at life, now that is the greatest gift any one of us can be given. Having faced death several times I am now more aware than most of how very sacred and special life is and none of us should take life for granted. I hope that reading my various pages will show you how passionate I am. Having lived a very different life and faced the darkness many times has helped me realise that no matter what we go through during our lives, each piece plays a part in who we are and without any of those pieces we simply would not be who we are. Once we acknowledge our journey, the good and not so good parts, then we are able to become empowered enough to stand firm in who and what we are, from that point, we can openly admit and share with others. No matter what our story, to share and offer advice if we can is the best gift we can give. Within all of my website, I aim to offer comfort, belief, inspiration and an alternative way to be, all of which has come from my own personal experiences and I am proud of my journey. For more information, reviews, previews, or to order, please click on one of the images below.